What started as a way to get more people active, the “30 Days of Biking” campaign has grown in popularity and shows added heart-healthy values as the drive moves forward. For many, biking in April leaves much to be desired, unless there is above normal spring conditions. But it doesn’t have to be a major ordeal. With 30 Days of Biking, you sign up with your own set of rules on how far and where you want to ride each day. It might be as little as a spin around the block, a few laps around the underground parking garage or spinning at the gym, all depending on the weather. Then as May approaches you will not only have bragging rights, you will feel a lot better and be at your peak ready for the summer bike season. The only rule, dress to meet your own bodies comfort level no matter if it’s in April or any other time of the year. Cycling can improve your health keeping you on top of your game. Did you know that just 20 minutes of cycling in a day can cut in half your risk of dying from a heart-related disease? You will also feel better and may help improve your muscle for walking, general balance, and climbing stairs according to a recent study conducted by Purdue University, in Indiana. The study concluded that regular cycling can cut your risk of heart disease by a whopping 50 percent. Let’s see now, besides bragging rights, if I turn my bikes crank each day in April I will feel better – where do I sign up? Signing up and pledging to ride 30 Days in April biking, it’s free! The 30-day campaign is a pledge to ride your bike every day in April, any distance, any destination and share your adventures online at #30daysofbiking. So tell your friends, sign up and ride together and make sure your bike is ready to roll. 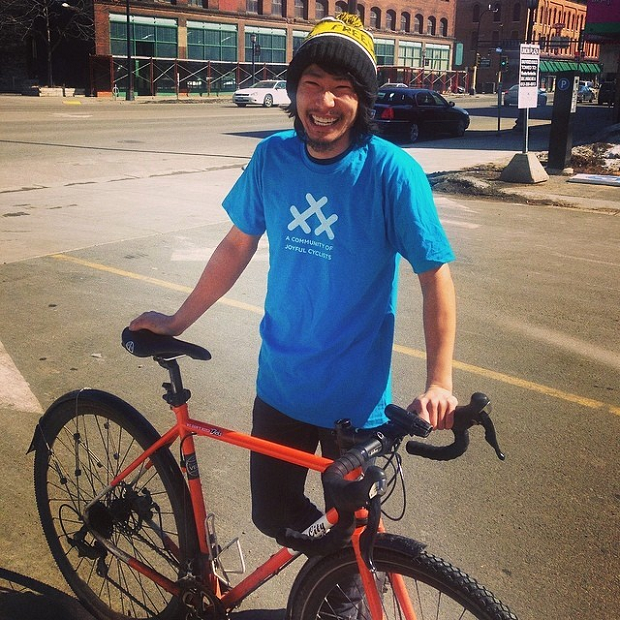 Join 30 Days of Biking through April, wearing this tee-shirt and feeling good about yourself. 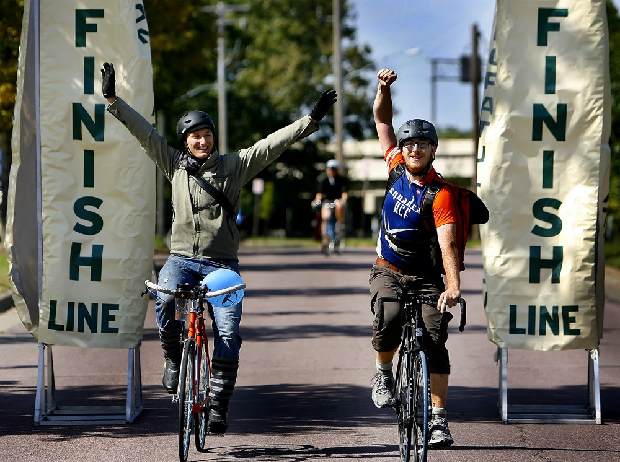 30 Days of Biking is a springtime tradition founded in 2010 by two avid cyclists in Minneapolis. 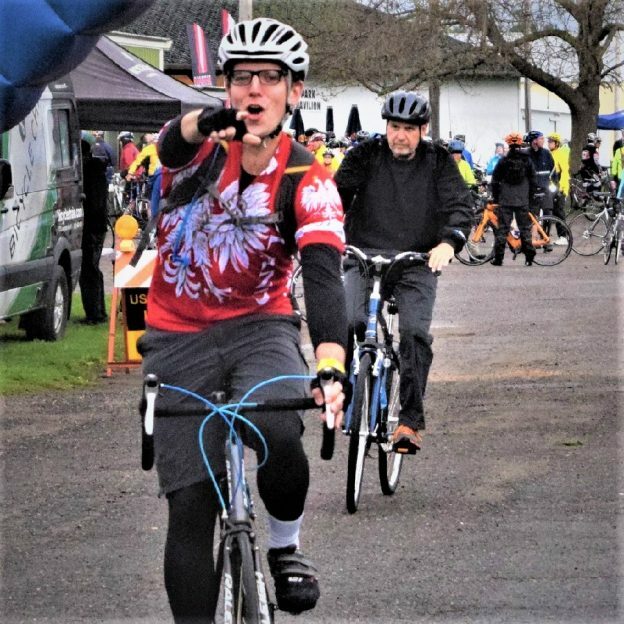 Last year over 10,000 bicyclists from St. Paul, to San Diego, to Düsseldorf, Germany, join this “community of joyful cyclists.” Will you join them? Very simply, it’s a pledge to ride your bike every day in April, no matter, what the weather or if it is one or thirty-miles each day and trainer bike miles count too! Join 30 Days of Biking, April 1 through 30 and be a winner with better health and more friends. 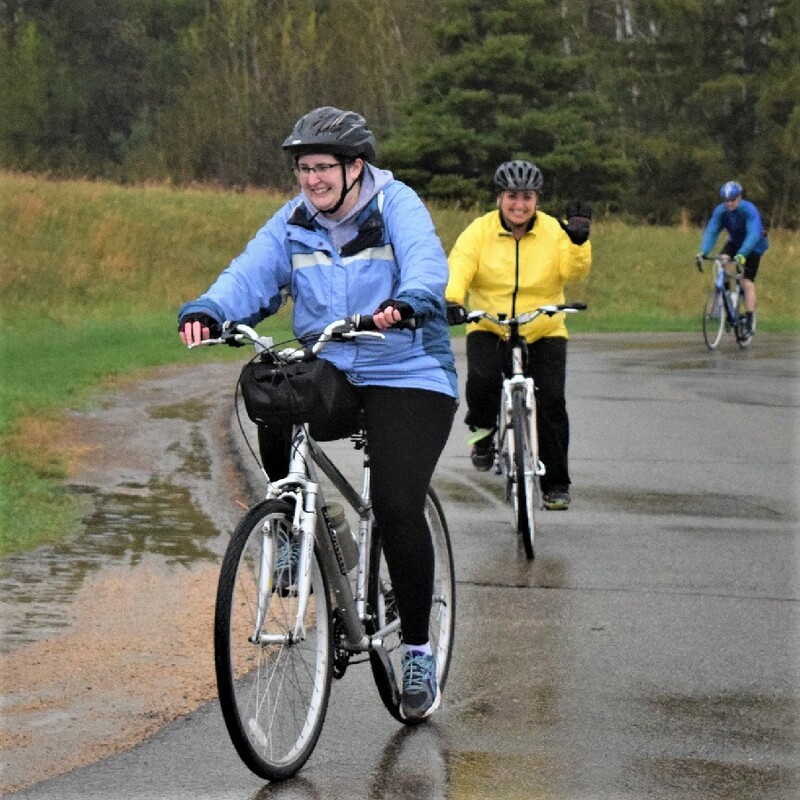 Sometimes you have to bike in the rain as spring arrives, make it fun! Depending on the weather, you sign up and set your own rules as to how far you ride. It might be as little as a spin around the block. Staying dry is the most important and difficult part of riding. The best way to keep dry is to wear waterproof clothing. While most synthetic fabrics still insulate when wet, being wet diminishes their ability to keep you warm. Therefore, a waterproof jacket and pants are a great way to start, but waterproof socks and gloves make the outfit complete. While a lot of materials are naturally waterproof, once perforated with stitching, zipped closed with generic zippers, and left to be loose at all the cuffs, their waterproofing goes out the window. Before you go out and buy anything labeled “waterproof,” read on to understand that all waterproofing is not the same. Like any other mechanical device, routine bicycle maintenance and cleaning will keep your bike in optimal condition when riding 30 Days in April. Additionally, routine bicycle maintenance will make your bike safe to ride whenever you need it. Where do you start? What do you use? Well, here are a few tips to put you on the right track! After finishing your daily 30 Days challenge here are a few more tips to prepare your bike for the next day. Get ready, make a pledge to 30 Days of Biking today! It’s easy and no monetary costs to you. Then you share your adventures online with #30daysofbiking #nextbikeadventure and have fun while supporting a good cause, your health! This entry was posted in News, riding tips and tagged #30 days of biking, 30 days, bicycle maintenance tips, bike, Bike commuting, bike every where, bike in April, Bike throughout April, Bike to work, Biking healthy, biking in the rain tips, Biking through April, Minnesota Bike Hike Guide, Spring bike event on March 26, 2018 by Russ Lowthian.